Stories happen only to those who are able to tell them, Paul Auster once said. 15 years ago I studied medicine at the university. I felt chagrin - for having experienced love and separation, compassion and mercilessness, health and illness too soon. As an 18-year old, I had been jilted by my beloved and been diagnosed with a serious panic attack. And during that accursed time, I was far away from my home town. I couldn’t see light when aching heartbreak and dark fear of death encircled me. My only consolation was to lock myself in my dorm room and read books whilst listening to FM. That’s how I met Mahler. According to my radio host, the piece was "Adagio - Sehr langsam und noch zurückhaltend" from Mahler’s 9th symphony, conducted by Sir Georg Solti. From its opening theme to the quietly ending coda, I felt loneliness, hopelessness and acceptance of death with the release of those final notes. When the movement ended in silence, I burst into tears. Now Mahler was dead. His last note is marked “ersterbend”, i.e. dying away. Stories happen only to those who are able to tell them, Auster once said. In the same way, experiences present themselves only to those who will have them. Because of this experience, Mahler’s 9th has always been etched on my heart. But for my ears, it’s been a different story. Two months later, I bought my first portable CD player and looked for an album of that mighty opus. In a small music store I found Bernstein’s with the Berlin Philharmonic. As a conductor I loved Bernstein more than Solti so I couldn’t wait. I walked through my favorite coffee shop near the Galata Tower, sat in my usual spot, asked for Turkish coffee and started my player. What a disaster. Where were the trombones, where was that climax of the last movement? Why a Grammy Award for this performance? Actually, why give out a Grammy for any classical music performance? I was at a complete loss. Today, years later, I have more than 200 Mahler albums. 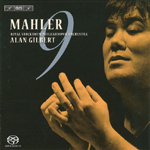 More than 50 are of Mahler’s 9th so I will compare some of the more popular ones, not only for that eighteen-year old boy but for anyone who wants to get it right. Let’s agree on right. There are good Mahler conductors who play his music with deep understanding. There also are good conductors who do Mahler. Not only in the last but first group, their approach to his music isn’t always right. Take Bruno Walter. Lesson #1: Working with Mahler does not guaranty a successful Mahler performance! Walter worked closely with Mahler. He conducted Mahler’s 9th premiere and made its very first commercial recording. This has a historical and political reputation. It was his last European concert with the Vienna Philharmonic just before the Anschluss. Shortly after, German would occupy Austria and force Walter and the Jewish members of the VPO out of the country. You can feel the tension and apprehension during this catastrophic performance. I respect its historical meaning. But I won’t go further and claim it as any reference. It’s not. It’s a technical disaster. Even Walter himself regretted it and was deeply unsatisfied. It was a fast, careless and unsystematic reading. The VPO committed serious faux pas in the second and third movements. Walter’s slipshod take merely approximated the rhythm. The last movement got railroaded. There’s nothing in its defense. As Voltaire said in Candide, "Fools have a habit of believing that everything written by a famous author is admirable." No, sir! Fame does not equate predictable achievement. If you aren’t an ardent Mahler collector, skip it. Lesson #2: Being a great Mahler conductor or orchestra does not guarantee a respectful Mahler recital! Not just a successful Mahler conductor, Bernstein was a one of the greats of our century. He made impeccable recordings from Beethoven to Shostakovich, from Bellini to Hindemith. His Mahler box set on Sony is one of those references. His intense approach to Mahler is philosophical but clearly not with the Berlin Philharmonic! 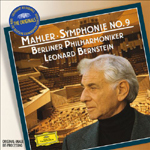 Bernstein led the BPO only once and then with Mahler’s 9th. That was for charity and not, as I believe, for an audience. This is interesting. Bernstein performed a great Mahler 9th with both the New York Philharmonic and the Concertgebouw. 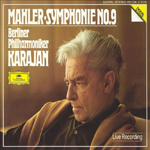 And on this symphony, the Berlin Philharmonic was perfect under Karajan. But marrying them and Bernstein was not a good idea. As mentioned, I have no idea where the trombones went during the last movement. Did they go home? They simply ruined the climax. Besides that, the orchestra was uncomfortable with Lenny. I wonder what happened on that night. And to award that performance? No, pass on it please! Lesson #3: 'Great Recordings of the Century' don’t always imply a great recording of the century! EMI’s 'Great Recordings of the Century' series has remarkable performances, including some Mahler like Klemperer’s Resurrection. 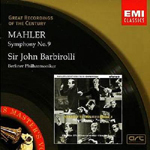 But for me, Sir John Barbirolli’s Mahler 9th with the Berliners does not deserve that accolade. I remember just how excited I was to buy this album after a review that put in a good word for the very first recording of Barbirolli with the Berlin Philharmonic. I was eagerly listening to his Elgar which also had the 'Great Recordings of the Century' mark to promise magic. Not. The brasses were weak, the "Rondo Burleske" half-hearted and it seemed the orchestra didn’t know what they were doing at times. During that fateful day of recording, Barbirolli checked the schedule and realized that the last movement would occur during the morning session. So he asked the producer to change it to the evening because that sort of music couldn’t be performed in the morning. He understood Mahler. And I admit that his "Adagio" is very decent, with heartfelt strings but even they missed the passion on the climax. 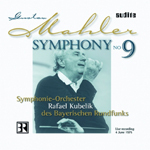 Somehow the Berliners never did a solid Mahler under Barbirolli, including his 2nd and 6th symphonies. What a pity! Lesson #4: Mahler should sound like Mahler! 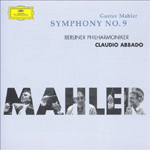 As a conductor who began his career with Gustav Mahler, Abbado is considered one of the best Mahlerians. I vividly recall how pleased I was when hearing his Mahler 5th with the Chicago Symphony for the first time. Even though he made multiple recordings of the Fifth, his first is still one of the great ones. Over time, his approach to Mahler became smoother and more string-heavy. That worked for audiences who didn’t want their Gustav too dramatic or potent. Hence I had doubts approaching his 9th with the Berlin Philharmonic. But he astonished me. Whilst I cannot call it the best Ninth, given how the "Andante comodo" has powerful climaxes, the woodwinds excel during the second movement and the "Rondo-Burleske" shows real charm, this recording is still a decent option. But overall it’s light. 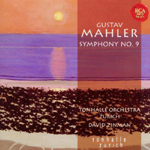 Mahler’s Ninth shouldn’t be easy listening. It’s intense, even harsh. I thus consider it a good choice only if you are going to meet Mahler’s Ninth for the very first time. Lesson #5: Forget your roots with Mahler! I believe the London Symphony under Gergiev understand Russian composers. This association has given us solid performances for Prokofiev or Shostakovich. But I also believe that if you approach Mahler, you must forget about the Russian nationalist school. You should take risks, show personality and express character. 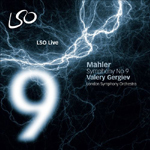 Gergiev achieved success with Mahler’s Second. If a symphony is colourful like the Second, it is easy for a Russian conductor to be successful. Yet Mahler’s Ninth is a real challenge. Gergiev’s vision didn’t work because he simply pushed too hard. He ignored the room needed to build out proper climaxes. Overall it’s not a boring interpretation but a solid performance. If you like heroism with your Mahler, don’t hesitate to bring it. But for me, this doesn’t compete with the truly great ones. Lesson #6: Only risk takers will achieve anything unique with Mahler’s Ninth! Because Mahler never heard his own Ninth, one cannot say it’s complete. For Mahler, composing a symphony was a never-ending process. He frequently changed or tweaked his works after he conducted them. Therefore a conductor shouldn’t interpret the Ninth too literally. What a challenge. But this usually is no issue for the Czechs like Rafael Kubelik. Kubelik had everything a great Czech conductor should have. He was dramatic, lyrical, imaginative and piquant. And the Bavarian Radio Symphony Orchestra mostly played for him with faith and ardor. Those are essentials for any great Mahler Ninth. I also believe that this piece should be recorded live, not in a studio. If one presents a symphony about life, one ought to conduct it in real life, not over and over again. Kubelik’s live recording is more exciting than his DG recording. He took more risks and as a result his tempi flowed to a certain extent. Whilst I think his approach unique, for me his warm interpretation worked better for Mahler’s First. Here we have something special but not yet the best. Lesson #7: If you want to change tempi, you better produce better results than the composer intended. 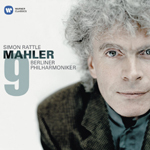 Before this disc came to market, Sir Simon Rattle recorded the same symphony with the Vienna Philharmonic for EMI. If a conductor re-records a symphony, I expect something novel not just from working with another orchestra but as new insights from the maestro. Here we only get another orchestra but almost the same approach. And again there is an imbalance between strings and woodwinds. I also won’t call it a good idea to deny the transition from fortissimo to diminuendo as Mahler asks for in the "Scherzo"; or the fortissimo in the middle of the "Rondo-Burleske". Rattle’s somewhat flat reading during key passages ruins the dynamics of his Ninth. Still, we get a good performance whenever the strings matter. The Berlin Philharmonic's violins are intense and almost too sweet. And I admire his powerful impact on the "Adagio" but that’s it. Rattle brings some uniqueness but I won’t call it marvelous. I hope his next outing will excite the audience and me more. Lesson #8: No audience forgets the finale! I remember watching a documentary about Richard Strauss conducting the Vienna Philharmonic in a performance of his own work, Till Eulenspiegel. He kept a constant eye on his score and barely looked at the orchestra. A few years later after I watched a talk with another conductor, Itay Talgam, I realized why Strauss had made no eye contact with the Viennese. The strong message for the orchestra was to play it by the book. For me, David Zinman follows Strauss’ 10 commandments for conductors on this album. "You should not perspire whilst conducting", said Strauss. And I don’t believe Zinman did during the first three movements. He was a literalist like Szell but at least Szell wasn’t boring. When I listen to his horns, I remember another Straussian rule: "Never look at the brasses encouragingly". I wish Zinman had. He actually suppressed them. Where there ought to be pianissimo for the horns, he gets pianississimo. But, no audience ever forgets the finale. If one can finish off in style, the result is loud applause. Here we have one of the best Adagios on record. It is passionate and deep, intense and somehow out of this world. Grab this album just for the ending! Lesson #9: Following the original score to the letter does not bring out the best! For me Alan Gilbert is a bit technical. Last year when I watched his Mozart Piano Concerto No. 25 with Emmanuel Ax and the NYPO, I heard one of the coldest approaches to Mozart ever. His Mahler Ninth with the Royal Stockholm Philharmonic shares similarity with that Mozart. You can almost hear the exact score shared with so many studio recordings. It is very detailed, controlled, tight and excogitated but arguably too much so. Mahler wasn’t just a symphony composer. He also wrote songs and conducted opera. His confrontation with life and death on this symphony should be sung, not played. Think how Barbirolli or even Walter did it. Their approach was more candid and played by heart despite their technical issues. On Gilbert, something essential is missing. 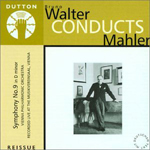 That’s why I only recommend this recording to those who wonder what Mahler actually wrote. Lesson #10: Break down your personal prejudices to enjoy the music! De mortuis nil nisi bonum! Do not speak ill of the dead. I am not a Karajan fan, never mind how he damaged the classical music sector. But it is not proper to mention that now. Before I listened to Karajan’s second Mahler Ninth, I thought that being a great conductor was insufficient. One who conducts Mahler ought to have proper character and have led a dog’s life. Those were my thoughts when I cued up this second Ninth for the first time. Do you remember what Karajan said about Mahler? "Mahler is very difficult for an orchestra. First, you must, as a painter would, create your palette. But the difficulty is great. The greatest danger is that if it is not well performed, the music can seem banal." Indeed. Was that the reason why he ignored Mahler for decades? The risk of banality? I do not know. But as soon as I finished listening to this, I was stunned. He destroyed all of my prejudices. This was the first time the Berlin Philharmonic shocked me. As a music and audio reviewer, my greatest struggle is with something that gets everything right like here. Here one listens to a man who would live for a few more years to conduct not only this symphony but confront it with all of his life. This is the best story telling ever. An interviewer asked Karajan why he never conducted the Ninth again. He said that the music shattered him to an extent that he could never open the score again. This is why this recording is one of my favorites. Every time I hear it, I am shattered. Paul Auster once said stories happen only to those who are able to tell them. This one belonged to Karajan. This was his story.